SynCardia Systems, Inc., manufacturer of the world’s first and only FDA, Health Canada and CE (Europe) approved Total Artificial Heart, announced today that Marvin J. Slepian, MD, the company’s co-founder, chief scientific officer and chairman of its Science Advisory Board, has helped develop a new class of small, high-performance electronics that are biodegradable and capable of dissolving completely in water or bodily fluids. The applications which appear most promising for this transient technology are medical implants, consumer electronics and environmental monitors. “Concerning the medical application, many of the devices we implant into patients are only needed temporarily. 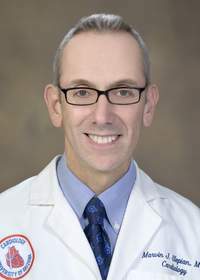 Once the medical need for them has passed, biodegradable devices would disappear, without the permanent burden for the body,” said Dr. Slepian, Director of Interventional Cardiology and Professor of Medicine at the University of Arizona (UA) Sarver Heart Center with a joint appointment in the UA Department of Biomedical Engineering. Posted in AZBio News, Members and tagged biodegradeable electronics, Marvin J. Slepian, Syncardia.